NBAHOOPSONLINE.com: NBA and Basketball history from 1891 all the way until the present day. Damian Lillard has sparked the Blazers to one of their most amazing seasons in decades. Just Great Tickets has the best deals on Bulls tickets and NBA tickets with no hidden fees ever. Find NFL season tickets too. Bulls tickets NBA tickets NFL Season tickets After you get back from the game, try out some of the Blake Griffin dunks you saw on a Pro Dunk height adjustable basketball goal! Are you looking for a all-in-one gambling platform? A site like zodiac casino can help you finding the basketball related games as you like them. When looking for more information you can take a glance at onlinecasino-australia.com and learn about online gambling in Australia. NBA Hoops Online has one of the most extensive collections of National Basketball League information on the web. 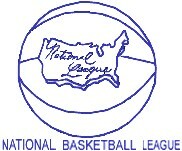 The NBL was a precursor to the NBA, in 1949 it merged with the Basketball Association of American (BAA) to form the NBA. The NBA, however, does not consider this history to be part of its own, instead taking the history of the BAA, which has caused much of the NBL's history to be lost. Luckily we have pieced a lot of it back together. MVP, DPOTY, ROTY all the usual awards and many more. Check out the annual NHO awards as voted by fans and the staff of NHO. NBA history is often seen as something that happened many years ago, and we often overlook events that are happening right before our eyes and miss new history. This is likely something that happened when the Hawks and Bulls went into an epic four over-time scoring thrill-fest. Both the Hawks and Bulls are having abysmal seasons, but both are loaded with young talent and that was on display this Friday night in March of 2019. Both teams are still unsure of exactly what it is that they have on their rosters so letting their young guns go and play is not only good for the development of the franchise, but its good for the fans as well. Every June fans line up waiting to see who their favorite NBA team will select in the draft. In today's NBA it is a pretty straight forward process. Each team normally has 1 pick in the first round, and 1 pick in the second round based on their record and maybe a little luck in the draft lottery. But in the long history of the NBA draft things have not always been that simple. Before the league started to curtail the draft in 1988 the rounds could go on and on indefinitely if they wanted them too. For example the 1960 draft had 21 rounds and the 1984 draft seen 228 players drafted. The process for the draft became cumbersome and the majority of the players selected after round three never played in the NBA. Several of the early drafts did not keep accurate records so its unknown which players went where in the draft, each team is just listed as having selected players listed in an alphabetical record. Basketball betting tips for the experts suggest that most of these players never even knew where they were drafted and the majority of them did not care as they planned to focus on other endeavors rather than the NBA. Than there was the territorial picks. For a time in the NBA a team was allowed to forfeit their first round pick to select a local product that the league thought would help boost attendance to the games. While it was true that these picks did help boost attendance and fan interest, it was several taken advantage of as several really good teams got better by using giving up their late first round pick to get a superstar. There was a total of 23 territorial picks made in NBA history between 1949 and 1965 and 13 of them are in the hall-of-fame and two others were all-stars. Teams had a better chance of landing a hall-of-fame player than they did a bust at nearly 2-1 odds. What was the worst draft class in NBA history? Fans of NBA basketball debate endlessly about what was the greatest draft class in NBA history: was it the vaunted 1984 draft that produced the likes of Michael Jordan, Hakeem Olajuwon, Charles Barkley and John Stockton; was it the 1996 draft class that produced Kobe Bryant, Allen Iverson and Steve Nash; or was it the 2003 draft class the produced Lebron James, Dwayne Wade and Carmelo Anthony? But one thing NBA fans often over look is, what is the worst draft class in NBA history? Right off the top of most NBA fans heads will be the much maligned class of 1986. The 86 class was fraught with absolute franchise changing bombs that would derail some of the greatest franchises in NBA history for decades. Of the top 10 picks in the draft only two, Chuck Persons and Ron Harper, would play more than 10 seasons in the NBA and two of the top 5 picks would play less than 2 seasons in the NBA. The biggest tragedy of the 1986 draft class was that of number two overall pick Len Bias. The Maryland forward never played a minute of NBA basketball. Bias died of a cocaine overdose just days after being drafted by the Boston Celtics. His death lent a huge shadow over the entire class. The NBA in the 1980s and 1990s is often seen as an era of financial stability and expansion. The league saw money come in at a previously unprecedented rate, most of it coming for the new found television revenue. The NBA added 11 new teams from 1976 until 1996. The league also found three superstars to hang its image on in Larry Bird, Magic Johnson and Michael Jordan. But there was an underbelly to this glorious side as well. In the same time span that saw the NBA add 11 new teams, four teams relocated and three others attempted to relocate. One of the most interesting cases involved the Minnesota Timberwolves who were awarded by the NBA to the city of Minneapolis in 1989. The Wolves were one of four NBA teams that entered the league between 1988 and 1989, and the second NBA team to play in the Twin-Cities. Which teams will make the final of March Madness 2019? March Madness 2019 is nearly upon us, with Selection Sunday taking place on March 17 and the First Four games kicking off two days later. Predictions for the winning teams are already coming thick and fast as we get closer to the date, and a few favorites are definitely starting to emerge. But we can't discount the dark horses, and one of those colleges with an outside chance may still be the one that stays the course and emerges triumphant from the Final Four in April. The latest AP Poll and the official NCAA Bracket Preview rankings are looking pretty similar, with just a few minor differences of opinion in the ordering. Most significant is the jostling between Tennessee and Duke for the top spot. Duke University is the safest bet: in Coach Mike Krzyzewski, they've got a bona fide hall of famer who has already won five championships, and the Blue Devils have an impressive five previous wins to their name. Giannis Antetokounmpo vs. James Harden: Which player will win the NBA MVP award? There is a large debate that surrounds the NBA Most Valuable Player award. Some basketball experts believe the trophy should go to the individual basketball player that is the most indispensable for his team. His team would not win games without him. There is another camp of basketball experts that feel the award should go to the Association's best overall player. Regardless of which camp NBA fans fall into, they can use the best NY sports betting apps to wager on their favourite teams' games. The NBA regular season has been dominated by two names: Giannis Antetokounmpo and James Harden. The duo has been phenomenal all season and they certainly fall into one of the two MVP camps mentioned previously. The two basketball stars have just a few games left in the regular season to make their claims for NBA MVP. Here is how they stack up. The NBA Playoffs tip off on April 13th. The marathon postseason will run until mid-June when the new NBA champion is crowned. Two teams currently standout in the season as NBA title contenders. The Golden State Warriors, winners of three of the last four NBA Finals, are largely seen as the team to beat. The Warriors may not have the best record in the NBA currently, but they are the favourites to win a fourth championship in five years. Basketball fans still believe the Warriors have the ability to win the Finals and online betting in vw allows them to wager on NBA games with their predictions. Golden State is the favourite to win the title, but they are not the NBA's best team. At least, they are not the NBA's best team in terms of wins and losses. That distinction goes to the Milwaukee Bucks. Led by superstar Giannis Antetokounmpo, Milwaukee is a complete team that plays together on both ends. Perhaps their only knock is the lack of a superstar outside of Antetokounmpo. Regardless, the Bucks are sportsbooks' second favourite as the playoffs loom. When you look at Brighton's start to the Premier League season the undoubted high point will be their August win over Manchester United. In front of a sell out crowd at The AMEX, Chris Hughton's men made relatively light work of the Red Devils on their way to victory. Although the final score was a 3-2 win in Brighton, one that looks like a close encounter on paper it is fair to say that it was a stroll in the park for the Seagulls as they once again asserted their dominance at home. And that is something that they will look to build on when they welcome the visit of another Premier League title challenger in the shape of Tottenham. Mauricio Pochettino's men have made a relatively decent start to the campaign having won their first three games of the season. Betting on the NBA can be somewhat of a fickle beast. And, this is because the NBA has an unusual and hectic schedule. Unlike the NFL, NBA teams are oftentimes subjected to road games, back to back games, and they are known to play at least four or five games a week during any given week. Sure, you can sit down and choose strategies that are based around stats and individual players or even hot steaks, but if you aren't considering the playing schedule of the team, you are probably costing yourself some potential profits. One of the most notorious scheduled games are the back to back games and below you will learn just how to take advantage of such betting odds. He is one of the most successful and recognisable stars to have ever played in the NBA, but how much do you really know about Kobe Bryant? The Los Angeles Lakers legend retired from basketball three years ago now, but his legacy will remain for eternity. Winner of five NBA Championships and with 18 NBA All-Star awards to his name, Bryant is one of the most effective players the game has ever seen and his exploits have drawn comparisons with other greats such as Michael Jordan and LeBron James. 1. You'll be forgiven if you think the name "Kobe" is a tad unusual. Although it is becoming more popular in the modern era, Bryant actually took his first name from the famous Japanese steak that comes from Wagyu cattle. Apparently, his parents found it rather interesting! The NBA is really one of the most exciting sports leagues in the world. The games are intense and it is really easy to find a good team to cheer for. If you want to make the games even more exciting, you should think about betting on them. The only downside here is that there is going to be a risk that you'll lose your money. Handicappers will attempt to predict the results of the games. While they might be good, there is a risk that they're going to make mistakes along the way. Below, you'll learn about some of the most common mistakes that they'll make. The truth of the matter is that NBA handicappers often get too comfort in their line of work. This will cause problems sooner or later. After all, there are plenty of things that are happening day in and day out. Players are getting injured or they're being traded. Plus, the coaches are working relentlessly to find ways to improve their teams. Many handicappers do not keep up with the news and that can hurt. In order to make the right bets, they need to consistently keep an eye on the sporting news. #5 Lakers Won 4-3 against the Celtics in 2010 This was a revival of a rivalry that has been there for years. This was the second time these two franchises were meeting in the NBA Finals in a span of 3 years. After winning in the 2008 Finals, the Celtics could match the Lakers in these 2010 Finals. Is Coach of the Year Cursed? It looks like one of sports most persistent curses has struck again. Fans know about the Madden Curse, where everyone on the cover of the Madden video game get hurt or has a terrible season. But do fans know about the curse of the NBA coach of the year award? If reports and speculation is correct than Toronto's Dwane Casey will win the 2017-18 NBA coach of the year award, but guess what? The Raptors just fired Dwane Casey. If true, and Casey wins the award he will join a long list of successful NBA coaches who lose their job after winning the award. Four of the last six award winners have been unscathed by this curse. But Gregg Popovich seems to be the one man exempt from this curse. He has won the award 3 times, and is still coach of the San Antonio Spurs. In fact, he is the only person to coach beyond 5 years after winning the award. He first won the award in 2003. Last years winner Mike D'Antoni and the 2016 winner Steve Kerr still have their jobs. The 2012 and 2014 winner is Popavich The 2015 winner, Mike Budenholzer recently joined the curse when was let go by the Atlanta Hawks 3 years after winning the award. Being great at what you do is one thing, but there's a whole different set of criteria for those who earn their place in history books. The Association has had no shortage of outstanding talents throughout the years, but those few who have managed to show durability, game intelligence, strategic skills and pure talent are sure to stand out. The issue of selecting the creme de la creme among NBA ranks has sparked arguments among many fans. In this regard, based on criteria similar to those above, following is an objective ranking of the all-time greatest. Point shaving is arguably the biggest cardinal sin in the basketball world. While there has been several cases of it involving college basketball, the NBA has had relatively few incidents of point shaving, that is not to say that the scandals have not affected the NBA, quite the contrary. Of the four major leagues in the US the NBA has been the most ardent opponent of betting on games, especially during its early years. The league has soften its stance in later years, but is still waging a fight against the state of New Jersey over online betting. Point shaving is when a bookie or better convinces a player or official to help a favored team not make the spread. For example, if a team is favored to win by 10 points, the player or players involved make sure that the team wins by fewer than 10 points. This is accomplished by intentionally missing shots, committing turnovers or fouls, or in the case of a corrupt official making bad calls. Basketball is an extremely easy sport to manipulate because of the tempo of the game and the affect just one player can have on the game. The NCAA is much more susceptible to point shaving than the NBA because of the NCAA's strict emphasis on amateurism. NCAA players do not make any money and are often struggling college students, while the NBA players are making millions of dollars. It is much easier for a bookie to convince a poor college student to miss a few shots for a few hundred dollars than it is to convince a millionaire NBA player to do the same thing. On October sixth, the NBA lost one of the great pioneers in league history. Connie Hawkins was a four time NBA all-star and former ABA MVP, who's legal battle with the ABA and NBA helped change the landscape of professional basketball. Few athletes in American history have ever been as victimized by the system as Hawkins was. In 1961, while Hawkins was a freshman at Iowa and ineligible to play on the Hawkeyes varsity team due to NCAA regulations at the time, a humongous college betting scandal erupted and Hawkins was kicked out of school. The scandal involved 22 different schools and 37 players, but Hawkins was not implicated. The scandal mostly focused on players associated with Jack Molinas, who had escaped the CCNY betting scandal a decade and a half earlier. Hawkins, growing up in New York City, knew many of the players involved and had borrowed $2,000 for school expenses from Jack Molinas, but Hawkins brother had paid Molinas back before the scandal erupted. Basketball's early roots on the east coast are well document, from that cold December day in Springfield, Massachusetts in 1891 when the game first formed to the present, we know the stories, the players and the histories. What is less known is how the game developed out west. While at the time of basketball's founding the east was pretty much an established mega-industrial center catering to the worlds needs. The west, it was still wild and untamed. When James Naismith invented basketball in 1891 the United States states had just 44 states and Wyoming and Idaho had just joined the Union. Three states that would join the union after the founding of basketball, Utah, Oklahoma and Arizona, now contain NBA teams. The battle of Wounded Knee, the last great battle between the United States Army and the Native American's had happened just shy of a year before the game of basketball was invented. And the infamous gun fight at the OK Corral had happened just a decade before. In fact, the early days of basketball are closer in time to the French Revolution than they are to today. It is easy to see why basketball's roots began in the east and why it has stuck and become such an integral part of the urban landscape. The east had the infrastructure and had young men with free time to play the game and form leagues. In contrast, the west lacked the roads, rails, and metropolitan areas to give rise to the infrastructure that is required to play basketball. Following World War II many Americans were looking for some sort of entertainment outlet, and sports quickly became one of the most popular outlets. Basketball was still in its infancy but would soon see epic growth as war weary Americans needed more and more entertainment outlets. In 1946 there were three major American basketball leagues in the US. The oldest, the ABL had been around in some from since the 1920s but had spotty attendance and fans and players alike had a hard time figuring out what teams were actually in the league. The newest of the leagues was the BAA, which had just formed an 11 team league on the eastern seaboard with a couple of teams as far west as Chicago and Detroit. The most successful of the leagues was the NBL, which was entering its 11th season and had the best players in the world. The NBL and ABL had little direct competition as the ABL stuck around mostly New York City, Philadelphia and Washington and the NBL was primarily focused in Ohio, Indiana and the Great Lakes regions. The inclusion of a third league which directly competed with both leagues worried both leagues ownerships and started to bring about instability to both leagues. The 1970s were a difficult time for the NBA and for America in general. The Bill Russell lead Celtics dynasty which had dominated the 1960s had come and gone. Wilt Chamberlain was a shell of the man who once scored 100 points in a game. Cocaine and drug abuse was a serious problem in the league. The Summer of Love had descended into Helter Skelter. The US had ended its involvement in Vietnam The people did not trust their own government because of the Watergate scandal. Than there was the circus sideshow known as the Chicago Bulls. Even with the difficulties of the era the Bulls had seen some success on the court. The team made the playoffs eight times in their first decade and had even made a few serious deep playoff runs. But the Bulls still struggled to bring in the big bucks, despite playing in the third largest market in the US. Fans in Chicago would rather watch the Bears in the fall and winter and the Cubs and Whitesox in the spring. This forced the Bulls to get creative with their ways to get fans in the seats. Pat Williams is widely considered to be one of the best general managers the NBA has ever seen, he has rebuilt team after team after team, but in the early 1970s he was just starting out in the NBA and had the unfortunate task of saving the Chicago Bulls. Before the Indiana Pacers joined the ABA and eventually the NBA, the state of Indiana was the hot bed of professional basketball. From 1935 until 1953 the state hosted no less than 11 different teams in the major professional basketball leagues. Unfortunately, almost all of them would end and leave the state with no professional basketball teams for nearly two decades. Indiana is synonymy with the game of basketball. The University of Indiana is one of the most storied programs in all of college basketball winning 5 NCAA titles, but it was Purdue who would bring the state its first NCAA basketball title in 1932.
he was the first non-Caucasian to ever play in the NBA, or as it was known at that time the BAA or Basketball Association of America. Watura Misaka, the second generation son of Japanese immigrants, grew up on Ogden's 25th street in the back of a barber shop and would often find him and his family the victim of rampant racial discrimination. Yet despite this Misaka was able to find a love of basketball and was allowed on the Ogden High Schools basketball team, where in 1940 he lead them to the state title. In 1942 he began attending college at Weber College, which is now Weber State University. This was a dangerous time to be Japanese-American as president Roosevelt had recently signed Executive Order 9066 which required that Japanese-American's in the western United State be placed into interment camps. It remains one of the darkest chapters in American history and one of, if not the most, egregious violation of Human and Civil Rights in the 20th century. Misaka was allowed to get an exemption to continue his studies at Weber and play basketball. He only played two seasons at Weber College but would lead the Wildcats to the Junior College championship both season. When the Basketball Association of America (BAA) merged with the National Basketball League (NBL) in 1949 it was the culmination of two great basketball leagues that would give us one final and polished product; the National Basketball Association (NBA). A league, that in 1949, looked much different that the product we see today. Today we have 30 teams nestled in mega arenas in 28 cities across the United States and Canada and income in the Billions of dollars. The 17 team league would be a mixture of big east coast cities, small Midwest farming communities, and one lone enclave in the Rocky Mountains. From the start problems started to arise with the disparity between the former NBL teams and the BAA teams. One of the biggest was income disparity as the BAA teams had a lot more money than did the NBL teams, the one thing that the NBL teams did have an advantage over the BAA is that the NBL tended to have the bigger stars. One of the major factors in the merging of the two leagues was that the BAA, after three years of existence, was finally able to start not only plucking the top stars away from the NBL but also the NBL's top teams as well. Two seasons after its existence in 1947, the BAA was able to lure the Minneapolis Lakers away from the NBL along with the Rochester Royals, Fort Wayne Pistons and Indianapolis Jets. The 1970s were a interesting decade for America and for sports in particular. The decade saw the US withdraw from Vietnam and seen the presidency mired in the biggest scandal in American history; Watergate. It saw the Superbowl rise to dominance lead by the dominant teams of the era, the Steelers and Cowboys and it seen the Miami Dolphins deliver the only perfect season. In the basketball world it seen the NBA go head-to-head with the dazzling ABA only to see the larger NBA eat the ABA and take four of its teams. It was also an era in the NBA when the annual NBA draft was like that annoying song from the children's show Lambchop; it would go on and on and on..... But looking at the seemingly endless list of picks and one can find some funny and interesting picks. The Chicago Bulls would draft runner Carl Lewis in 1984, the same year they drafted a guy named Michael Jordan. The New Orleans Jazz drafted a woman named Lusia Harris. The Boston Celtics drafted a water boy and the Lakers tried drafting both Scooby Doo and a chair but both picks were rejected by the league. But one of the most interesting publicity stunt picks, mostly because he may have actually been able to play in the NBA, was the Kansas City Kings 7th round pick Bruce Jenner. One of the great anomalies and interesting facts of the NBA revolves around a team that is not even in the NBA, but yet receives a portion of the NBA revenue. It is the rumored ghost franchise of the NBA, also known as the Utah Rockies or Spirits of Saint Louis. Even some of the most die hard fans have never heard of this franchise and that is because they have never played a game in the NBA. Ever. The Spirits are a semblance of the NBA's old rival, the American Basketball Association. But unlike teams like the San Antonio Spurs, Denver Nuggets, Indiana Pacers and New York Nets; the Rockies/Spirits never joined the NBA, nor did they disband like the Virginia Squires, Kentucky Colonels or San Diego Conquistadors. Instead they got one the good side of one of the best business deals of the 20th century, and deal that is still making its benefactors a fortune today. In 1949 the Basketball Association of American(BAA) and the National Basketball League(NBL) merged to form the National Basketball Association; this is a fact that most NBA fans know. Many NBA fans also know about the brief three year history of the BAA, but what about the NBL? Not many fans know about the 12 year history of the smaller market NBL or its players. Who were these players? Most people know the origins of basketball; how in the winter of 1891 James Naismith invented the game to keep students active in the winter. But what most people do not know is how coaching the game of basketball got started. In the early days of basketball most teams did not have a coach as there was very little strategy to the game - most players relied on their athletic prowess rather than their brains to score. Even the games inventor, James Naismith, did not believe that basketball needed coaching. In his word you "Just play the game". But as the game got more popular players started figuring out how to manipulate the outcome of the game by doing things to prevent the other team from scoring; such as zone defenses. The best Power Forward of all time there are many great candidates from many different eras and they way to judge would be so hard, you could go on individual success (stats awards etc.) players like Karl Malone and or you could do it on winning and success of the team they were in, then the top of that list become McHale, Tim Duncan and Dennis Rodman all of whom have been very successful, however I have made my list of the top few PFs on a mixture of both success in stats and success in play offs and regular season. The other problem is distinguishing a PF from the C because of the lack of height many of the larger forwards ended up playing center. Dirk is one of the better shooters of all time, his name is often compared to greats like Larry Bird and Kevin McHale. Dirk over his career he has averages of 22.4 points a game, along with 8.6 rebounds and 2.7 assists a game defensively he averages just less than a steal and one block a game. Dirk shots efficiently with 47 percent from the field and 38% from beyond the arch he is also a very successful line shooter, at 87% from the line (he has his routine in which he hums whilst taking his shot) Dirk has won an MVP, and in the same season(06-07) his Dallas mavericks won 67 games, He has been selected to seven All Star teams, and he has been selected to eight All-NBA teams, with three of them as a first-team member. He is also the first and only player from Europe to win an MVP. His style is more of finesse than brute and strength you seem him do some really good mid range jumpers do open up his inside game, as many bigger men struggle with guarding a player with his permitter abilities. Dave was one of the first super Power forwards nicknames "D" and "BIG D" which stood for defence, he was an amazing player with unreal hustle and determination definitely in his times top handful of defenders. In 1996 he was recognised at being in the top 50 players of all time and is unlucky not to be higher on this list. Everyone who ever came up against would leave bruised, he is one of the most physical players of all time. He was never afraid of trading elbows and really fighting for a rebound or lose ball. He was also known for his Amazing Defensive skills, which helped earn his nicknames, he made the All Defensive 1st team 6 times. In his career he averaged a solid 16.1 points and 11 rebounds a game as well as getting 3 assists and shooting 43.2% from the field. A player like him in more recent times was Dennis Rodman, however Dennis didn't have nearly the same offensive game as Dave. His style of play almost the opposite of Dirk's as Dave would power it home more often. PLAYER FILES Was Michael Jordan the best player to ever play? some people dont think so, read this compelling argument to weather or not Jordan is the greatest to ever play. Or Maybe you think Wilt Chamberlin is the greatest ever? Sports gamblers usually like also various casino games. On casinoroller.co you can find everything as you lik and even for mobiles.